San Francisco Ballet is back “in the house” (officially pronounced howwwwwwwwws-in a deep basso profundo timbre-for those SFBalletomanes who feel the need) and has just announced Opening Night Nut Casting! To seasoned SFB fans, this announcement ends the traditional way-too-long period of time since our favorite dancers stepped/jetéd out on their own home stage at the War Memorial Opera House (since May, to be precise), so the advent of Nutcracker, our official harbinger of the anxiously-awaited 2013 SFB Season, is reason to rejoice! * Denotes premiere in role for current production. All casting subject to change. One last hearty “Congratulations” to this year’s SFB Opening Night Nutcracker Principal Cast, which belongs to Frances Chung as the grown up Clara & Davit Karapetyan as the Nutcracker Prince (yes, this is the final act’s Grand Pas de Deux pair), Sofiane Sylve as the Sugar Plum Fairy, Luke Ingham & Sarah Van Patten as King and Queen of the Snow, and Damian Smith as Herr Drosselmeyer. 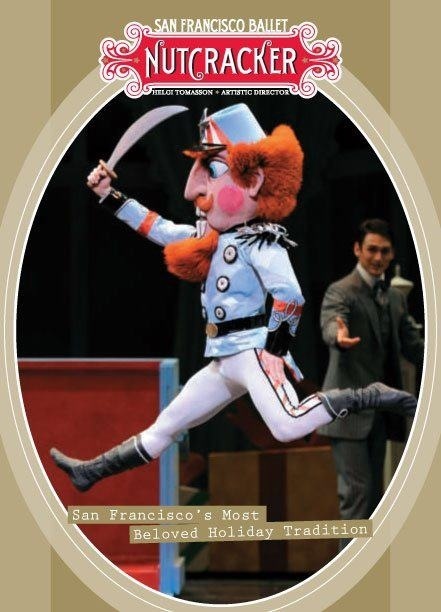 For tickets, visit SFB’s Nutcracker page here. This entry was posted in Dancers, Odette's Ordeal, San Francisco Ballet, San Francisco Ballet Casting and tagged Carlos Quenedit, Damian Smith, Davit Karapetyan, Frances Chung, Luke Ingham, Odette's Ordeal, San Francisco Ballet, San Francisco Ballet casting, San Francisco Ballet Nutcracker, San Francisco Ballet Nutcracker Casting, Sarah Van Patten, Sasha De Sola, Sasha DeSola, SF Ballet, SFB, Sofiane Sylve, Teri McCollum. Bookmark the permalink.